Black Lakes is an investigation into a new way to create and see. 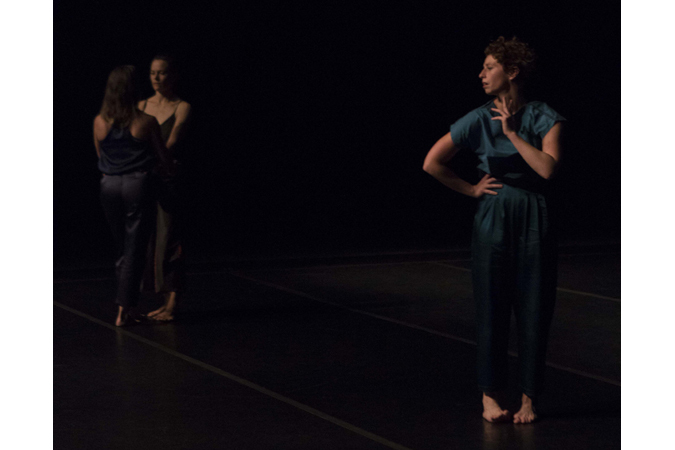 Making a turn away from more theatrical, tightly orchestrated choreography, Black Lakes foundations lie in more than the movement, but in an attempt to strip away conventional expectations within the performer herself and with audience as well. Black Lakes was developed alongside an ongoing authentic movement practice with bessie-nominated Eleanor Smith, Weena Pauly and Workum. The three performers move in and out of solos, unison, and duets contained within a set structure and the content of every performance will be created anew each night. The piece includes a minimalist soundscape by the Bessie award-winning James Lo and lighting by Carrie Wood. 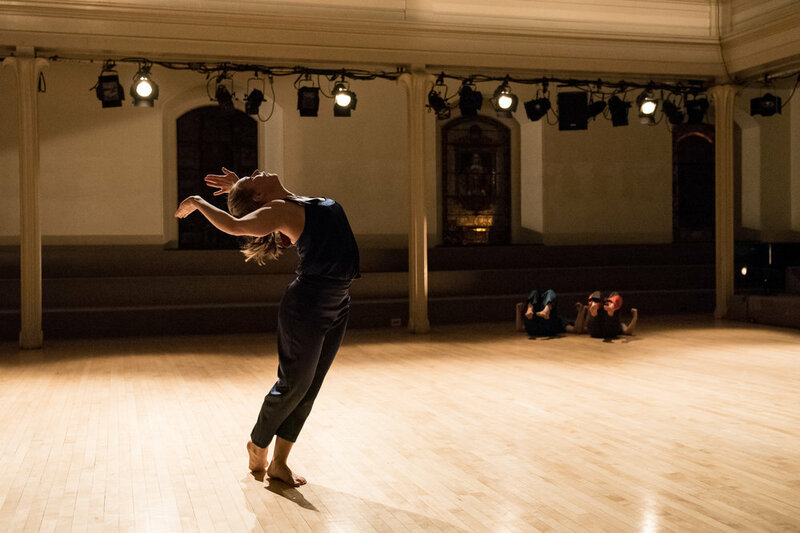 Produced by Meredith Boggia World premiere at Mount Tremper Arts, August 2014, NYC premiere at Danspace Projects, April 2015. "This piece is so intertwined with the process of making it that I want to write a little about it so perhaps you can have a deeper understanding of what and why this is all going on. This piece is not set. There is roughly set music, lighting, timings about how many bodies inhabit the stage at a time, but the content is created entirely new every night. I did not set out to make an improvised piece, but tonight is the culmination of my long-term attempt to examine and reorder many aspects of my previous dance making. Personal and institutional issues around control and ownership (and the lack thereof) were clouding and undermining my art making and I was tired of these hang-ups informing my work in ways I did not understand and depleting my accomplishments after a piece had closed.